After his really difficult win against Tottenham Hotspur at Wembley Stadium, there is no doubt that Ole Gunnar Solskjaer must remain at Man United. 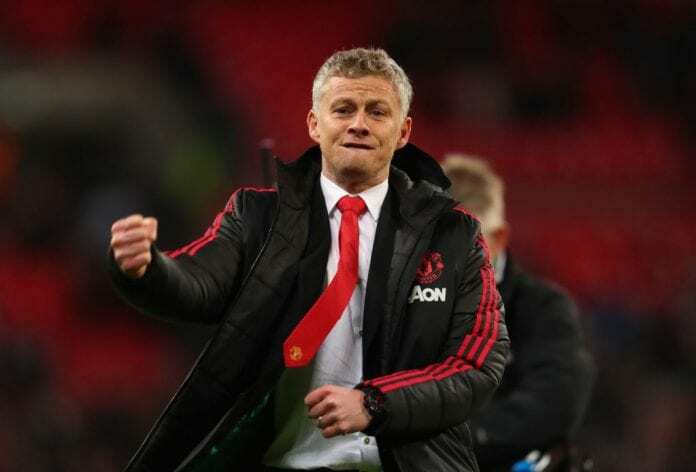 While there has been a constant conversation about which manager should take the job at Man United next season, Ole Gunnar Solskjaer has earned his right to keep the job after making history this Sunday when the Red Devils defeated Tottenham Hotspur. The Norwegian coach was already in presence of greatness after winning his first five matches as the manager, as only legendary Sir Matt Busby had been able to accomplish that in the club’s history. Everybody knew that this match would be the one that would test Solskjaer real capabilities to take this club to a better life, even he knew that the chances of losing the match were high and he was even willing to accept a defeat but not without getting all the best from his players. The game itself was a concert of David de Gea’s saves, so much luck in a single match could only mean that destiny is smiling upon this manager and it’s telling him to remain at the club after the season is over. Never in the Premier League’s history, had a goalkeeper made an incredible 11 saves and De Gea accomplished it against Spurs this Sunday. Anybody could give credit to the goal that Marcus Rashford scored during the first half of the match, but De Gea was the real hero of the night and he did it in style by getting this all-time record with Solskjaer’s record also included in the mix. This latest result must have stricken a nerve on the Manchester United board of directors, Solskjaer and all his technical staff’s vibe does bring back memories from the times of Sir Alex Ferguson when everything was better controlled and the squad worried more about playing good football than a result. Apart from the already familiar sensations that the Norwegian manager brings to the Manchester United fans, there is also his demeanor when he speaks to the press or even addresses his players. There is an undeniable bond that former players who were successful tend to have with the current footballers inside any club, there has been a tendency that has spread throughout many clubs in Europe and they find the highest rate of success with these managers. It happened with Johan Cruyff decades ago in Barcelona, with Frank Rijkaard, Pep Guardiola, Zinedine Zidane, Carlo Ancelotti, and it could also happen now with Ole Gunnar Solskjaer. “Fantastic, when you make 11 saves that’s a top, top performance. One or two were really good saves"
Despite not being considered one of the best players in football history, we can’t forget that this former striker is the man responsible for giving Manchester United their historic treble back in 1999 with an extra time goal against Bayern München in the Champions League final played at Camp Nou. All the young players who are die-hard Manchester United fans, were part of that historic moment and many of them regard Solskjaer as a true hero of the Red Devils’ history. The man already has that record that no one else has, he passed the test against Tottenham Hotspur with flying colors and it appears that he will reinforce the squad’s morale for the upcoming Champions League round of 16. 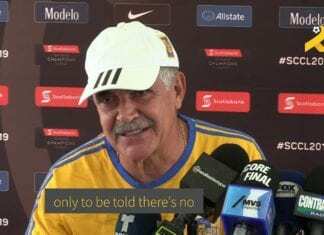 All the roads lead to him staying in the hot seat, keeping this momentum will convince the club’s board completely and there won’t be anything that can stop him from getting what he earned through hard work and victories. While there certainly are more tests to pass for the whole squad, it’s safe to say that this beginning is not bad for a novice manager like Ole Gunnar Solskjaer. How far do you think Solskjaer will take Manchester United this season? Please share your opinion in the comment section down below.